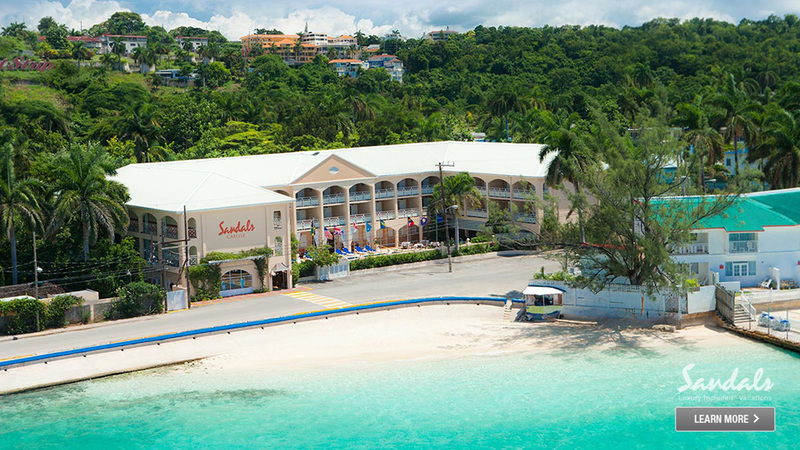 If you are looking for a private place for your honeymoon or simply a nice vacation spot to relax and unwind, Sandals Inn (Formally Sandals Carlyle) is a top pick. 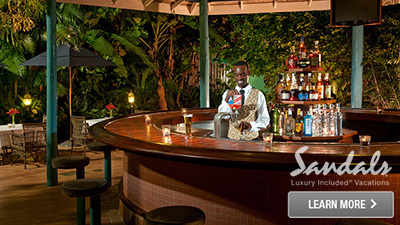 This is one of the most authentic and inviting Jamaican boutique resorts worth spending time in. 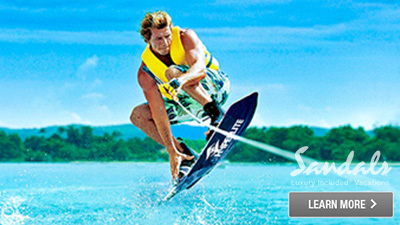 This is also one of the perfect getaway places where you can completely enjoy exclusivity and privacy. 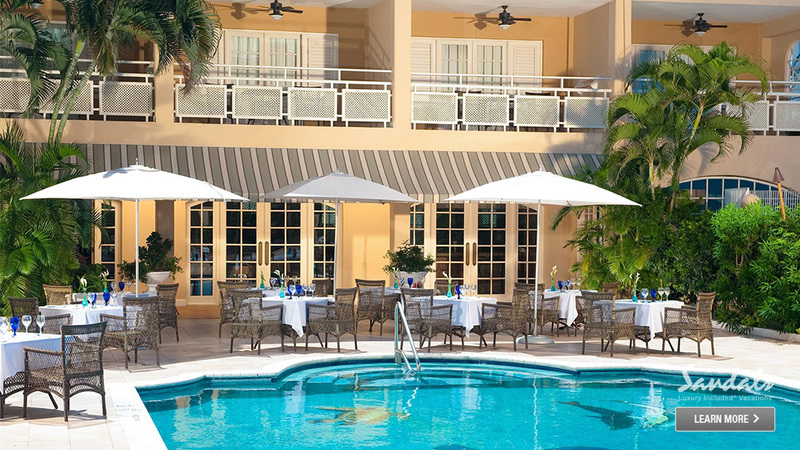 It might be a small Sandals destination surrounded by flourishing tropical gardens, but Sandals Inn displays huge value and great charm with impressive arrays of amenities for its distinct size. 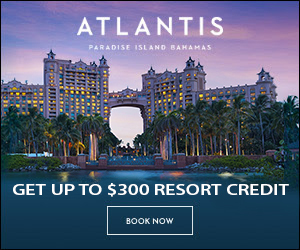 Both vacationers and honeymooners can appreciate and enjoy the cozy ambiance of the place, fine dining and many exciting vacation privileges offered by Sandals Inn. This place will surely find a big space in your heart. 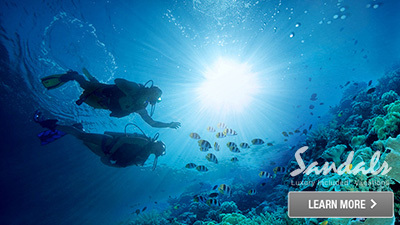 This is an all inclusive resort wherein room rates already include meals, snacks and unlimited beverages. 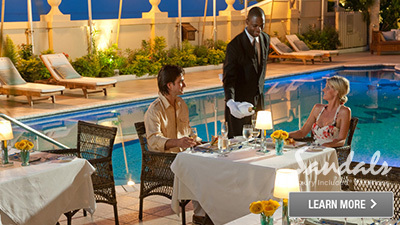 Guests can also enjoy and take advantage of the round the clock room service. 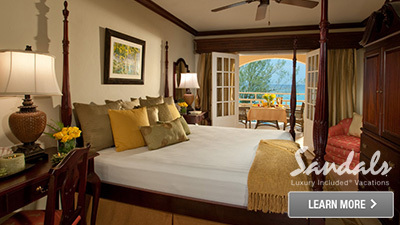 Guestrooms feature lavish crown molding, stylish mahogany furniture, plasma televisions, free Wi-Fi and so much more. 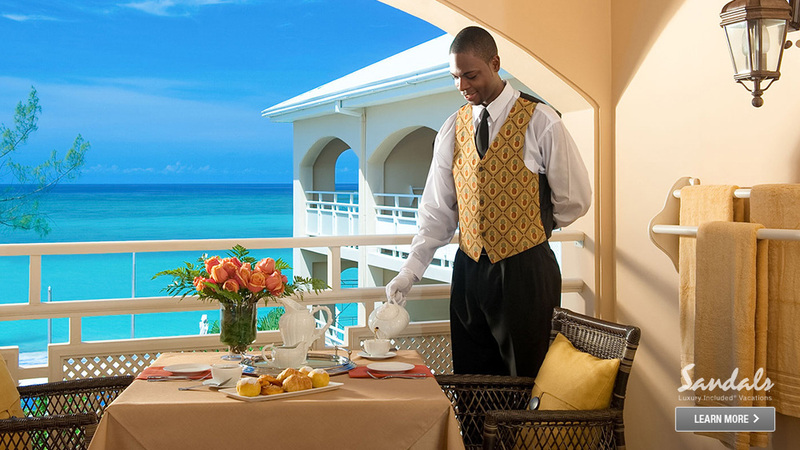 The attentive staff also happens to deliver 24-hour complimentary room service to all its guests, assuring breakfast in bed can be delicious any time of day! 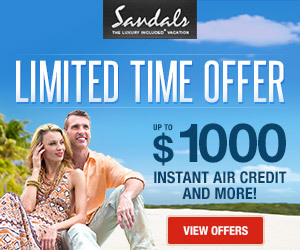 When you choose to stay at Sandals Inn, you make yourself entitled to unmatched experiences. Whether it is a vacation or a honeymoon, all guests are provided the best comfort, accommodation and service that they deserve. 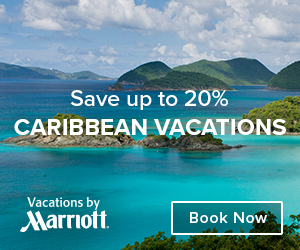 Take a break from the busy city life and set your feet towards this tropical destination. 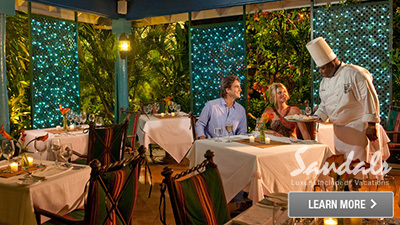 Sandals Inn is a place where you can enjoy a peaceful and romantic atmosphere. 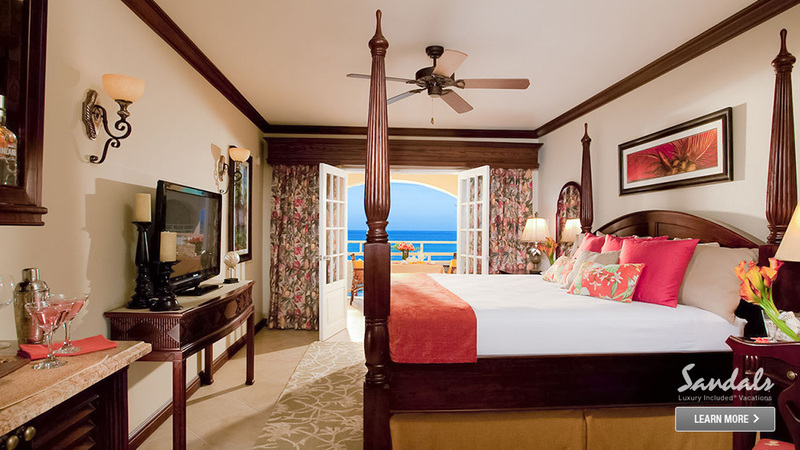 Located on the third floor of the resort, these fully refurbished, tastefully appointed rooms offer four poster mahogany king-size beds, stocked refrigerator and balconies. Rooms are tiled. 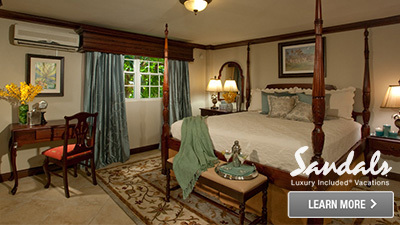 Large, magnificent room with four poster mahogany bed and furnishings. 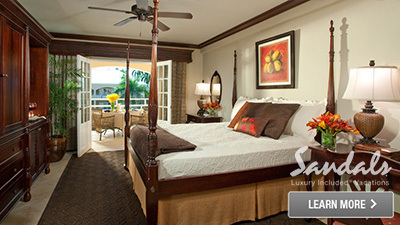 All rooms have balconies, are carpeted and have a refrigerator stocked with water, juices and sodas. Large room with four-poster mahogany bed and furnishings. These rooms have no balconies. Most rooms are carpeted. Located on first through third floors. Caribbean inspired spa treatments using regional natural products are available at the exclusive Red Lane® Spa at Sandals Inn. A tranquil sanctuary, the Spa offers a number of treatment rooms, a fitness center, beauty salon and steam room. You can find massage services, body services, facial treatment and a glamour bar are within your fingertips. 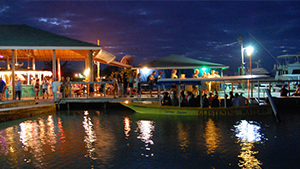 The best way to experience the real Jamaica is to get up close and personal with it. 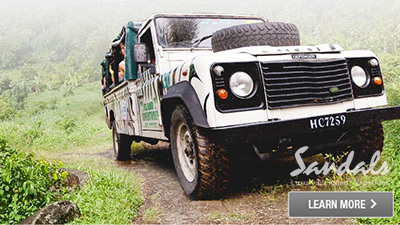 Island Routes offers luxury adventure tours that range from completely exhilarating to delightfully sedate. 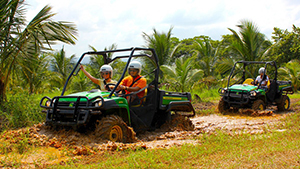 Some of the featured tours are: 4×4 Off-Road Safari, Dolphin Encounter & Dunn’s River Falls Combo, Island Routes Reggae Cruise, Jamaica Sky Explorer, Segway Estate Tour, Jamaica Swamp Safari Village Tour, Prospect Ultimate Adventure and so much more! 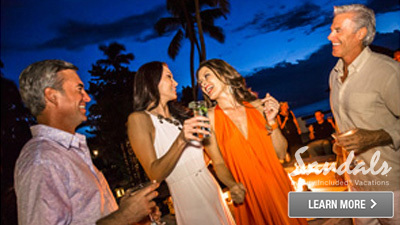 Besides offering amazing appetizers and entrees, Bay Window guests are delighted to discover that some of the best cocktails on the island are served here. By remaining true to its roots, The Bay window delivers fare of exceptional island character such as seafood cake appetizers with scotch Bonnet mayonnaise, while also exploring food good for the soul such as Baby Back Ribs with sweet corn relish served with macaroni and cheese. The Carlyle is the quintessential place to dine when you have a hankering for classic French cuisine. Designed with lovers in mind, this luxury restaurant featuring a progressive French menu with a white glove service. This open-air restaurant pays tribute to France’s decadent cuisine with its signature dishes, Seafood Bouillabaisse-sautéed snapper and Brandy Truffle, offers lovers the ultimate nightcap selection. It’s the perfect venue for two. Nibbles features snacks and grilled foods that are considered staples of the Jamaican palate. No grill in the Caribbean would be complete without the delicious offerings that can be found here. Signature items such as Jerk Chicken, served with Rice and Peas, and Chicken Patties, grace the menu. 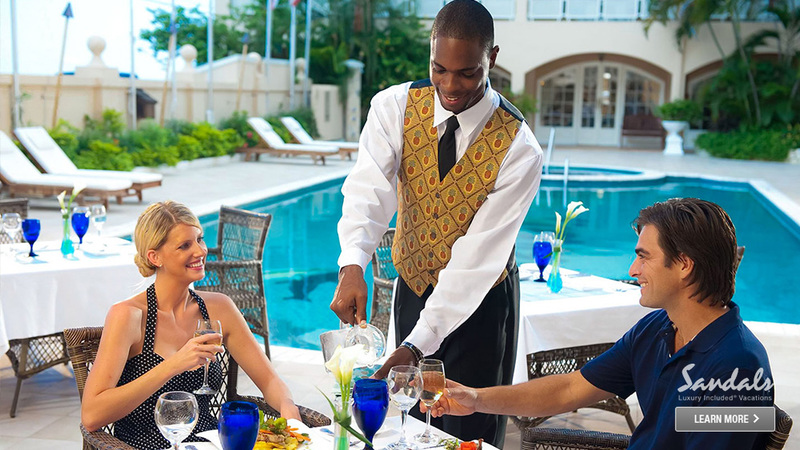 The casual setting of the grill invites guests to enjoy the best cuisine of Jamaica, as well as pretty amazing drinks to accompany the flavorful fare. 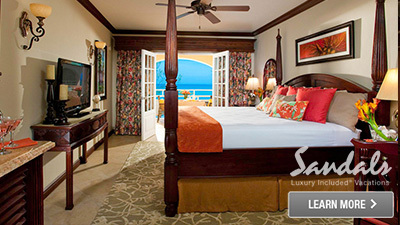 Sandals Inn is a luxurious beachfront resort features romantic atmosphere, personalized service and complimentary access to two other Sandals resorts on the island. 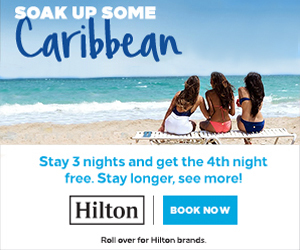 It is also close to shops, restaurants and bars at the Hip Strip in downtown Montego Bay.